Nokia 150 mobile was launched in December 2016. 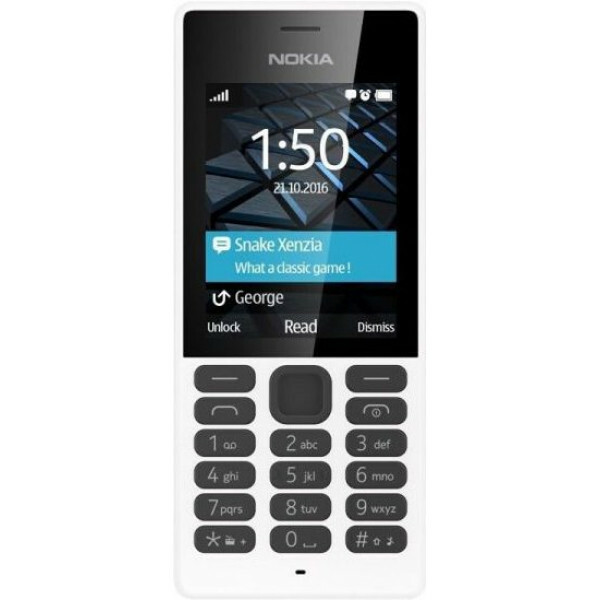 The phone comes with a 2.40-inch display with a resolution of 240 pixels by 320 pixels.The Nokia 150 is a single SIM (GSM) mobile that accepts a Micro-SIM. Connectivity options include Bluetooth and FM.